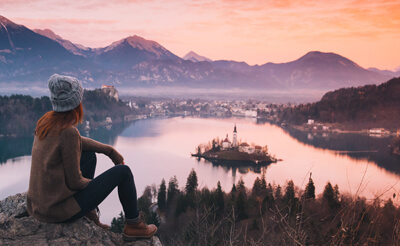 Slovakia, also known as the Slovak Republic, brings you natural landscapes, mountains, caves, medieval castles and towns, folk architecture, spas and ski resorts. The country is situated in thright in the middle of Europe and borders Austria, Czech Republic, Poland, Ukraine and Hungary and the northern half of Slovakia is taken up by vast mountains. Slovakia joined the European Union (EU) in 2004 and Slovak economy today is under constant rapid growth giving Slovakias education and job environment a very promising future. The currency is Slovak Crown "Slovenská koruna" (SKK) and most major credit cards can be used in Slovakia. All children in Slovakia study form a compulsory 10 years. Slovak students receive marks on a scale from 1 to 5, 1 being the best and 5 the worst (ie. the exact opposite of most othe grading systems around the world). If a teacher has a hard time deciding on a grade a higher mark is often given rather than a lower. When leaving secondary education all Slovakian student take a school-leaving exam called "maturita", this is taken into account if and when a student applies for higher education studies. Public schools of higher education is the basic and majority form of schools in Slovakia. They are financed by the government and possible business activities and established by law. State institutions of higher education are all military, police and medical schools in Slovakia. These are also financed by the government and possible business activities, but established through the corresponding ministries of the government too. Private schools of higher education are established and financed by non-governmental institutions, but always approved by the Ministry of Education. This type of school is still quite rare in Slovakia. To enter a course or program on tiertary level in Slovakia students must take one or more entrance examinations, the number of examinations and their content vary depending on what school you are applying for. If the number of places to fill is higher than the number of students applying, though, this is not needed. Your work of study in Slovakia will be graded according to the European Credit Trensfer System (ECTS). This will make it very easy to transfer your grades and/or degree(s) both to and from Slovakia. The academic year in practice stretches from September from June and is divided into two semesters. The main teaching language has long been Slovak, but today Slovakia offers many undergraduate and graduate programs also in English. If you are from within the European Union (EU), higher education in Slovakia is still free of charge (fee systems are in a planning stage), otherwise you will have to pay USD 2.500-USD 6.500 per academic year. In the Slovak capital Bratislava you will certainly find a university suitable for you, but if you want to go somewhere else some other important university towns are: Banská Bystrica, Košice, Liptovský Mikuláš, Nitra, Prešov, Ruzomberok, Trnava, Trencín, Zvolen and Zilina. Generally you, as a foreign student, apply to a university on the same terms as any Slovak applicant. you will study and live at your own expense, however, Slovakia does offer a few scholarship options that might be worth looking into (to do this, contact the Ministry of Foreign Affairs in Slovakia). To be able to come to Slovakia and study for more than 90 days you will need a temporary resident permit ("for the purpose of study"). The permit is submitted in your home country by the Embassy of the Slovak Republic. Dormitories are offered by most higher education institutes in Slovakia, you will generally share a room with one or two other students or, if it is offered, have a room of your own. A bathroom is usually shared between two rooms or more. Some halls of residence have their own fitness centres, sporting facilities swimming pools etc. 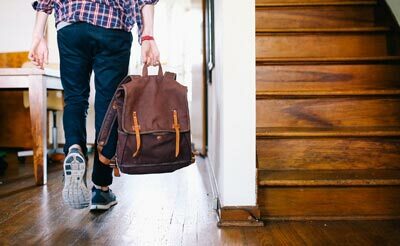 If you are going to study in Slovakia as a free-mover student (NOT through exchange), however, you are not guaranteed a place in a dormitory. Be sure to contact the school in mind for more specific information and arrangements. Another way to find housing is by renting an apartment privately, it is recommended in this case to sign a lease with your Slovakian landlord defining precisely the terms and conditions of your stay in the apartment. Slovak cuisine is heavily influenced by the one of the surrounding countries offering meat dishes with sides of some variety of potatoes, or soups. The national dish of Slovakia is Bryndzové halušky, potato dumplings similar to gnocci served with sheep´s-milk cheese and fried bacon. Large cities in Slovakia will offer food from a variety of cultures and wallets of any size. Lunch is the Slovak´s main meal of the day, lunch restaurants are called "jedálen". Eating at a restaurant in Slovakia you are generally expected to tip the waiter. Unless the menu says that service is included, five to ten percent is the standard amount to tip in any restaurant with table service. The usual custom is for the waiter to tell you the total bill and for you, as you hand over the money, to say how much you are paying with the tip included. In restaurants and bars it is usual to round up the price, the tip is about 10%. Slovakia is colored by a very rich, old and diverse folk culture of songs, fairy tales, dances, literature, music and art. Slovakia holds over 50 museums nation wide including the Slovak National Museum in Bratislava, this is well worth a visit if you are curious about Slovak history, nature and archaeology. Bratislava also holds the Slovak National Gallery. In the summer there are a range of music and culture festivals taking place in Slovakia, most in Bratislava and other larger cities. Some of the most popular sports in Slovakia include: Ice hockey, football (soccer), basketball, handball, volleyball and water polo. The Men's Ice Hockey World Championships are actually to be hosted by Bratislava in 2011. Although studying abroad can be very rewarding on its own, you must not forget to get out of the library for some adventure. Slovakia is world famous as a skiing destination and offers over a thousand slopes and pistes for both the beginner and the more experienced. If you are looking for a real challenge, your visit to Slovakia will give you a great opportunity to try out cross-country skiing or even "ski-alpinism". This is a combination of alpine skiing, mountaineering and cross-country skiing carried out in the most extreme conditions, for example the Tatra mountains. Slovak mountains are also ideal for hiking. Slovakia is by many considered a hiker´s paradise due to its varying terrain with basins, valleys and hills mixed into the lowlands. 350 km of marked hiking paths in the Tatra national Park offers you protected flora and fauna surrounded by ice age mountain lakes and waterfalls such as the Obrovský and Kmetov Falls. The Tatras is a must-see destination when visiting Slovakia, with 25 of its peaks reaching beyond 2.500 metres over sea level. For shorter strolls and river rafting adventures you should visit the Pieniny national park to the east of the High Tatra range.